Hello, all those who have a collection of washi tapes, raise your hand (me and with two hands up!). I do love the adorable patterns of washi, especially those eek-y spiders in the Booville collection! 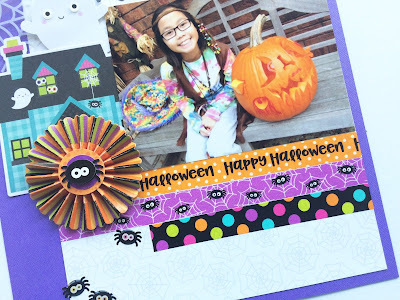 I used washi in a few ways on my page. 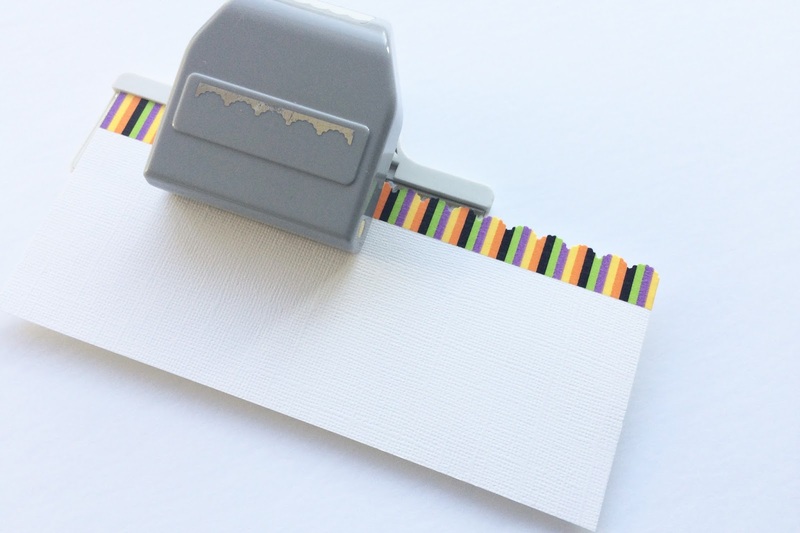 Adding strips of washi to create a pattern backdrop on a page is always a fun and cheerful application of this product. 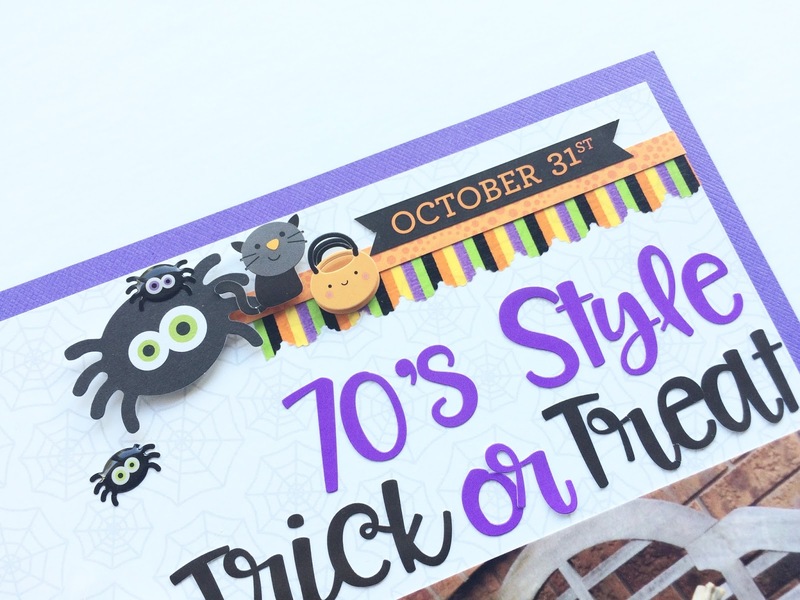 You can incorporate washi when making your own embellishments too. On my paper rosette, I added washi on to my paper before running it through the rosette die cut. The result shows a pretty washi pattern on the tip end of the rosette. You can also switch it up by placing the washi tape lower on the paper strip so that your washi pattern becomes the centre of your rosette. 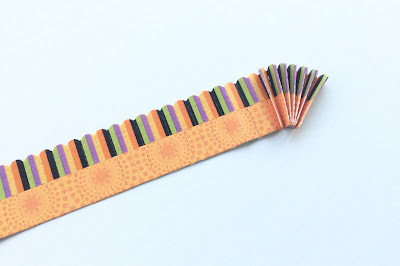 How about washi with a border finish? Yes it's easy, just place washi onto a strip of card stock and then punch it through your favorite border punch. 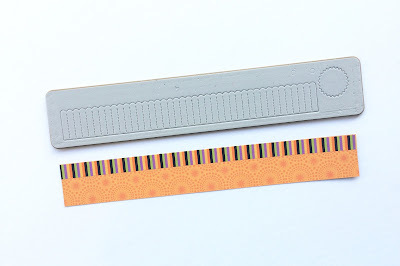 Gently remove the washi from the punched card stock and place it onto your project! 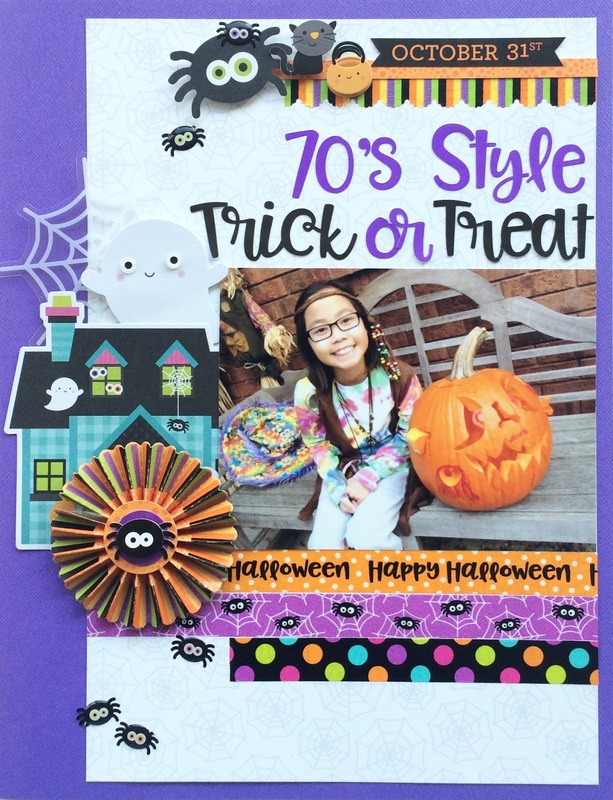 Hope you have been inspired to try out one of these fun washi techniques! Your embellishments are AWESOME!!! This is just so cute!! Fabulous ways to use the washi!!! This is a wonderful and fun layout !! Your rosette tip is great !